I made this spreadsheet to estimate how much a baby would cost for his or her lifetime. It seems to range from around $160,000 to $600,000 depending on how much you are willing to spend on your child. Keep in mind that this is just for one child. I got my estimates/numbers from looking at prices listed on Craigslist/Facebook groups versus prices in stores/online sites in my area. Costs will vary from person to person for many reasons (freebies from family/friends, different areas have different prices, etc. ), but I decided to share this for those interested in having children in the future so they can see how much they might end up spending, which is why I created the spreadsheet in the first place. 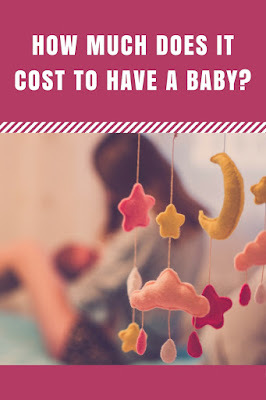 Again, this is only for ONE child so costs might double if you have twins or choose to have a second child. It also does not include when your children have kids and you become grandparents. As many of us know, grandparents can contribute quite a bit to the cost of a grandchild. You might want to tack on a few thousand for the future grandkids if you plan on helping out your children raise their children. I would just like to reiterate that this is just an ESTIMATE and there are MANY factors that can affect how much it costs YOU to have a child, but making this spreadsheet was very helpful for us in deciding on when we think we are ready to add to our family, and so I thought it might be helpful for others who also want to plan ahead rather than just jumping in. Our daughter is currently 4 months old and we have already spent close to $7000! However, a lot of this is towards things she isn't using quite yet (bigger sized clothing, 529 Savings account, etc. ), but I can see us spending $10,000 to $14,000 just for her first year! I will update this post once again after a year and let you all know what the outcome is! Our daughter is now a year old and honestly, I lost track of costs as being a parent and a blogger is a lot of work, haha! So I can only make a rough guess based on our grocery bill, which went up of course. It ends up coming close to $10,000 in just the first year. I don't intend to track everything from here on out, but I know a promised an update after the first year, so here it is!